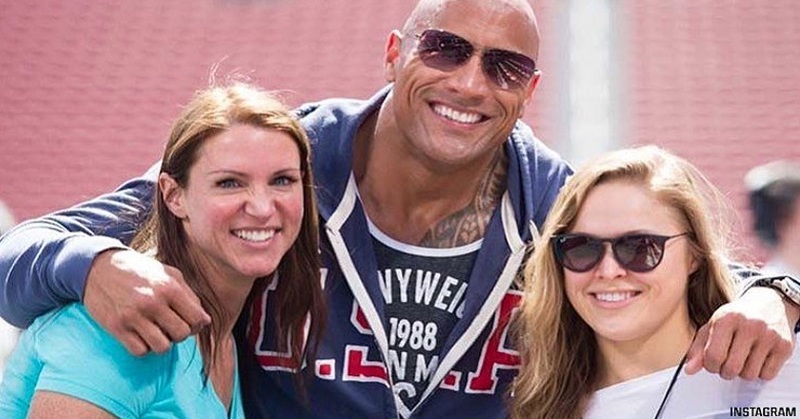 Two years ago, former UFC women’s bantamweight champion Ronda Rousey found her way into the middle of a memorable World Wrestling Entertainment (WWE) WrestleMania moment. Rousey, known for her armbar submissions applied a lock on the WWE’s Chief Brand Officer, Stephanie McMahon, and then hip-tossed her husband and professional wrestler, ‘The Game’ Triple H.
This coming Sunday is WrestleMania 33, and before the event goes down McMahon spoke with ESPN about the organization’s annual event. WrestlMania 33 will take place on April 2, 2017, at Camping World Stadium in Orlando, Florida. Will Ronda Rousey make an appearance?